There are garlic festivals around the globe because people love this stinky little bulb. But it’s a love hate kind of relationship, isn’t it? For most of us, the smell is tolerable because we love the flavor, but why does it have to stink so darn much? 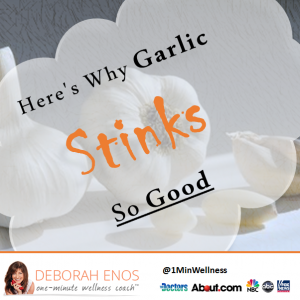 The answer also reveals why garlic is such an amazing health food. It’s a compound called Allicin. Allicin is a potent anti-viral, anti-fungal and anti-bacterial weapon. That’s right, it’s “anti” almost everything that’s bad for us. This sulpherous chemical compound has been shown to inhibit bacterial growth, even killing some germs on contact. And unlike most foods, garlic doesn’t seem to lose its immune-boosting properties when cooked. This is good because raw garlic can be a little overwhelming. We should all include more garlic in our lives (barring allergies and downright disdain, of course), but many traditionally garlic-y recipes include foods that we may be trying to avoid, such as white bread and pasta. So, here are some easy and healthy recipes you can use to get more of this stinky bulb in your life. Roasted Garlic Spread – Trim the garlic root and keep the bulbs unpeeled. Coat the entire garlic head with one tablespoon of olive oil. Wrap in foil and bake in a 300-degree oven for 1.5 to 2 hours. Spread on your favorite open faced sandwich or lettuce wrap instead of mayo or mustard… yum! 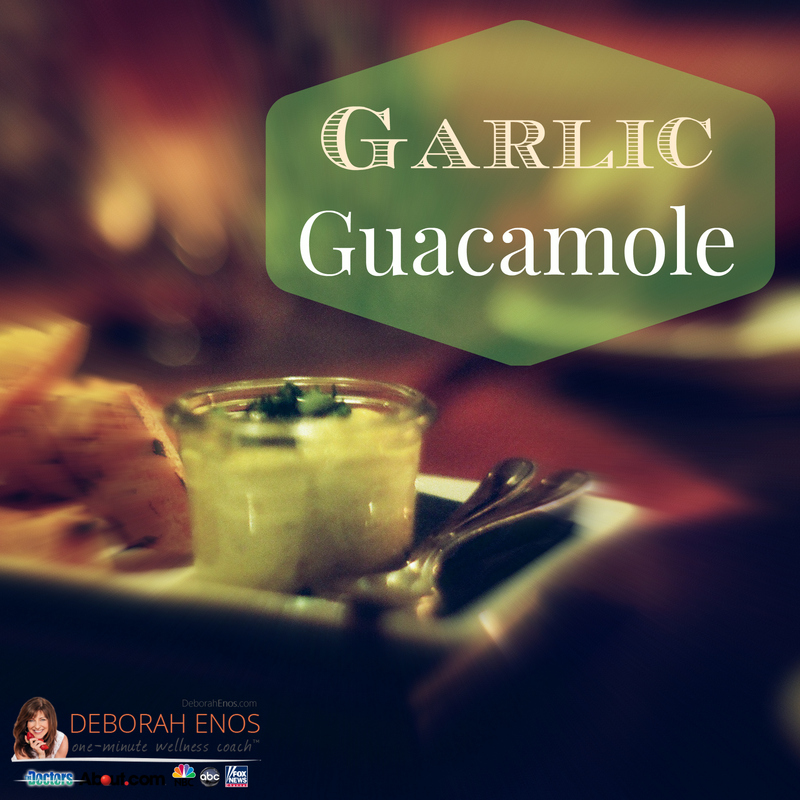 Garlic Guacamole – Everyone has their favorite guacamole recipe. I’m not trying to mess with that, but do try adding three large cloves of roasted garlic (roasting instructions above). Garlic and White Bean Dip – This simple dip will be the talk of your next party. Start by pureeing two heads of roasted garlic (instructions above) with paper removed. Sauté 1 cup of chopped onions, and add 1 15-ounce can of rinsed cannellini beans and heat thoroughly. Combine bean mixture with roasted garlic mixture and add 1 teaspoon of lemon juice. For more great recipes and all things garlic, check out Christopher Ranch on Facebook and on the web! Deborah, thank you for your continued encouragement in all things healthy. Have been trying to add garlic to my diet shy have straight eating it. I love the guac and white bean dip idea. I’ll be doing those soon. BTW I am eating garlic straight chased with something high in Vitamin C to recover from a nasty upper respiratory infection. Hope the breath and body aroma is gone by Thursday when I return to work. Thank you again.